Believe it or not, I started listening to podcasts not too long ago. 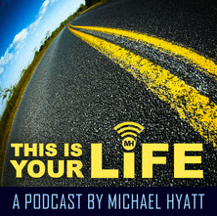 Shortly after listening to Michel Hyatts’ “This is your life” podcast, I was hooked! 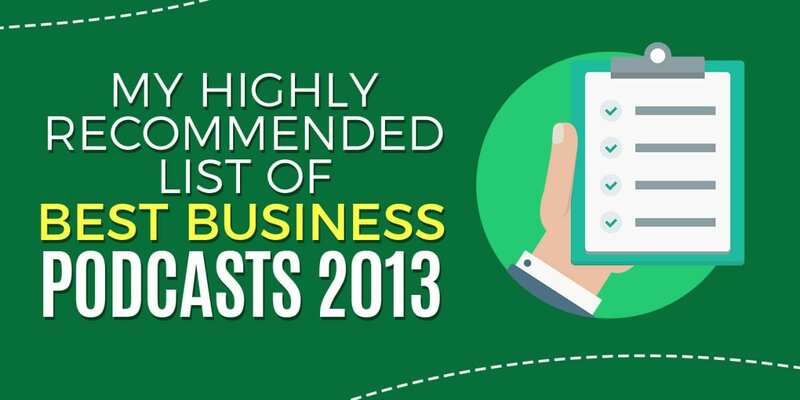 Naturally, I gravitated towards the business podcasts section and the list below are my personal favorites to date. Zip Ziglar is a legend and his words still live on. I only wish there was a podcast just like this one for Jim Rohn as well – oh man, what a treat that would have been. 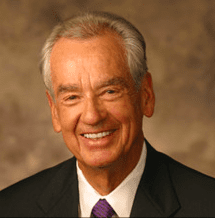 Well – Mr. Ziglar is no longer with us but at least he still lives on with his podcasts. The thing I love about this podcast is that it not only inspires me but also gives me hope to carry myself and my business to the next level. If you need a daily boost or pick-me-up, I highly recommend “Inspiring Words Of Encouragement w/ Zig Ziglar” because there is really nothing else that compares! Amy Porterfield is dubbed, the “Facebook Queen” and her web site and her podcast certainly prove it very well. No only does Amy have a great speaking voice but I love the content as well. Having a new following on Facebook, it’s great to hear her multiple angles on Facebook marketing. The other great thing is that she has some really cool guests share valuable tips. 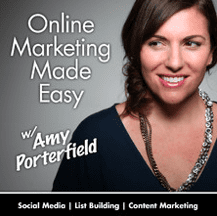 If you’re at all interested in Facebook Marketing, then Online Marketing Made Easy is a must listen with Amy Porterfield! What can I say? 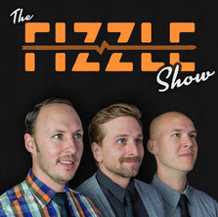 The Fizzle Show came out with a huge bang! Right out of the gates, this show debuted on iTunes and has garnered tons of fans. Having already been a huge fan of ThinkTraffic.com, I was pleased to see this podcast. I look forward to hearing what they have to say about marketing, traffic and business as a whole. Highly recommended! What’s not to love? Seth Godin is the man! I write more about Seth Godin in my blog posts than anyone else. I know this podcast is no longer updated but I love how this recording is done while at a conference with a bunch of Entrepreneurs all learning from Seth as he tells it like it is and inspires them to greatness. 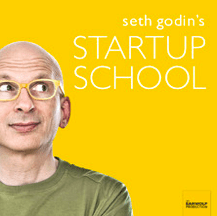 The Startup School is a must-listen Podcast for anyone wanting to do business in the 21st century. I believe Seth Godin is a visionary and someone we can all learning a lot from and this podcast is something you won’t want to miss! I owe Podcast Answer Man AKA Cliff Ravenscraft a lot of thanks. First of all, when I first started podcasting, I downloaded two or three of Cliffs tutorials and I owe most of my success as a highly successful podcaster to this. I can go on-and-on about his products and services (which I highly recommend, if you’re serious about podcasting!) but I also want to say that his podcasts are awesome! I especially love the social media segment because they specialize on Podcasting and this has helped me a lot. 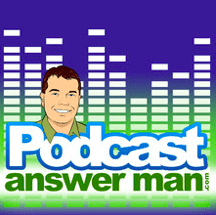 Overall, The Podcast Answer Man is the #1 show for podcasters and this is a podcast I just can’t stop listening to. This is a funny story and I will try to keep it brief — Late last year, my girlfriend found Michael Hyatt by doing a search for some self-help. At that time, I was interested in writing a book and she sent me a link from his web site. Since then, Michael has been a connector to all the people and the podcasts on this list. As a matter of fact, just listening to This Is Your Life by Michael Hyatt, he’s inspired me to start my own and as a result, I found Cliff Ravenscraft (Podcast Answer Man) as a result which has lead me to where I am today. As for “This Is your Life,” the podcast, I’ve been listening to it since last year and there is always something to learn. 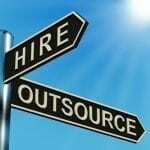 Michael not only shares some great wisdom but some of the best business advice on the net! Highly recommended! Pat Flynn who was a recent guest on my Endless Possibilities Podcast is a true inspiration to many people on the web. I really love Pat Flynn because just like Pat, I was “Let Go” as well in 2001 and my life has forever changed. Pat’s story is near and dear to my heart because I was in the same position as him back in the days but little did I know then that it was simply a blessing in disguise. 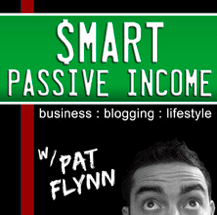 Pat’s Podcast “Smart Passive Income” is truly exceptional because every week, he has some of the most amazing interviews and other times he is solo sharing his wisdom and knowledge on business and in life. A must listen Podcast from a seasoned professional! What an awesome guy! John came out of nowhere with a daily podcast interviewing some of the most influential people in the world. This guy has bawls and the tenacity to pull something off like this with FULL SUCCESS! 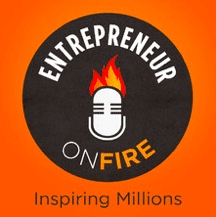 Man, there are so many podcasts on this list and I do listen to all of them as much as I can but Entrepreneur On Fire is something I am always listening to without any interruptions. I love how John interviews people and how authentic everyone on his show is about life and business. Another MUST LISTEN podcast! Who listens to the radio anymore? I love techno music and the fact that it pumps me up while on the road or at home. 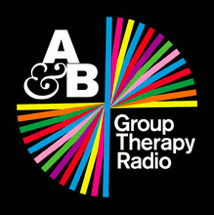 My girlfriend, Jenn, recently bought me the iHome Rechargeable Mini-Speaker and now every time I am in the shower or just around the house or office, this thing is pumping not only some of the best podcasts on this list but most importantly the A&B Group Therapy music podcast. If you like listening to high energy music like this, I highly recommend you add this one to your list as well! What is your favorite business podcast these days? Do you have any that you recommend?